The Seresco NE Series is the complete solution for indoor pool environment control, offering innovative features never before seen in the industry. Using adaptive control strategies combined with sophisticated electronics and the latest in internet technology, Seresco is the only company that can be connected with a secure web browser to every unit installed worldwide via the Internet. CommandCenter is the brains behind the NE Series Indoor Pool Dehumidification System. Seresco systems are factory equipped with up to 16 unit-mounted sensors that also include refrigerant pressure transducers. The CommandCenter is composed of a microcontroller system, a unit-mounted LCD display with keypad, an Ethernet interface, and WebSentry. WebSentry is the Internet Browser based software tool that will allow owners, operators and service companies secure access to monitor and control all aspects of NE Series operation from a remote location – in fact anywhere on the Internet! Factory certified service companies could now offer owners and operators 24/7 monitoring of their equipment using this userfriendly software interface. Virtual Witness Testing is also made available for the first time in the industry. Seresco tests every NE Series system under actual operating conditions at the factory to ensure all modes perform as specified. During this time, the customer or engineer can witness this test of their system via the Internet, and see how the unit is performing.  The Virtual Witness Web Cam will also be available for live video! Refrigerant Pressure transducers allow the user or service mechanic to access the vital refrigerant pressures through the operator panel of the microprocessor rather than having to connect a set of refrigerant manifold gauges. Service vestibule houses the compressor, receiver and blower motor for easy service access outside the air stream. The Seresco cabinet is fully painted and also contains high-density sound reduction insulation for ultra-quiet operation. The Coil System is corrosion protected to ensure a long lifespan and engineered to deliver premium operation and dehumidification capabilities. Plug fans are standard on all units, eliminating problems due to the system effect of less than ideal duct designs. A plug fan doesn’t need extended runs of perfect duct work to convert velocity to pressure – it’s done inside the NE unit! Compressors used in the NE Series are scroll type selected for their higher efficiency, quiet operation and robust design. Direct driven blowers mean no belts to adjust or maintain! 2-inch pleated filters are standard, and double the industry norm. 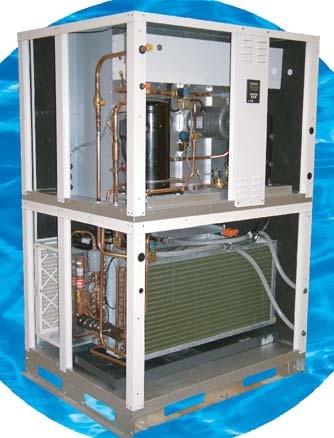 Options include air-conditioning (air-cooled, water-cooled or dry cooler), air heating (electric, hot water or steam), horizontal, vertical and rooftop configurations, remote control panels, PC-based or Internet-based control and monitoring, alternate refrigerants. 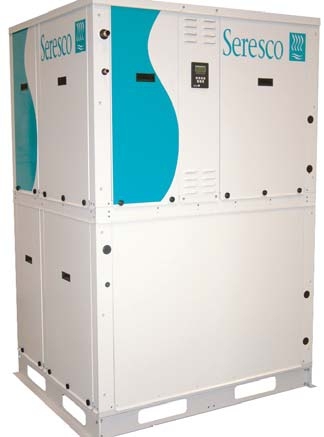 Seresco Dehumidification Systems from American Air Systems. The Seresco NE Series is the complete solution for indoor pool environment control, offering innovative features never before seen in the industry.